Msgr. John Canary was ordained a priest for the Archdiocese of Chicago in 1969. In February, 1995, he was named as the eighth Rector of Mundelein Seminary, having previously served as vice rector and dean of formation. In February, 2006, he was named vicar general of the Catholic Archdiocese of Chicago, assisting the cardinal as a chief executive officer. On June 30, 2013, he retired from the office. He continues his ministry at the Cardinal Stritch Retreat House, offering retreats and providing spiritual direction. Sue, married to Ron, parents of 5, is a parishioner of St. Jude the Apostle in South Holland. She is a lector, Children's Liturgy of the Word facilitator, Lady of Peter Claver, and member of the Parish Diversity Committee. She is a consultant for the Office of Catholic Schools. Past President of the Archdiocesan Council of Catholic of Catholic Women. First women Chair of the Archdiocesan Pastoral Council. Past member of the ACP Collaborative Committee. Teens Encounter Christ (TEC) Team Member. First Chair of the Archdiocesan Women's Committee. 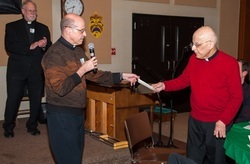 In gratitude for shepherding the Archdiocese of Chicago as our thirteenth Ordinary, 1997-2014, the ACP presented a check for $1,000 to Francis Cardinal George's Scholarship Fund. TRP’s mission is to build relationships and challenge people to act on their faith and values to create healthy communities through organizing, education, and community development. Since 1990, TRP has revitalized predominantly low-income Latino communities on Chicago’s southwest side through a variety of community development strategies. TRP has served tens of thousands of families in community and civic engagement initiatives. While focusing their comprehensive community development efforts in Chicago’s Pilsen, Little Village, Back of the Yards, and Melrose Park communities, TRP serves families from all over the metropolitan Chicago region..
PRMAA was formed in 1967 as an offshoot of the Infirmed Priest’s Fund. One of its first acts was to institute a pension plan for retired priests. Over the years health care and other benefits were added to its responsibilities. Today the PRMAA is responsible for coordinating and providing over $5,000,000 annually in benefits for our retired priests. There are over 200 retired priests ordained for the Archdiocese of Chicago. Of that number, over 100 priests are over 80. Taken together these priests represent over 11,800 years of service as priests to the Archdiocese. Our mission is to proclaim the presence of the one true God for whom we live. Here, Our Lady, you can give love, compassion, help and protection to all who seek his help. This is a house of prayer for all people. A place of worship and pilgrimage. 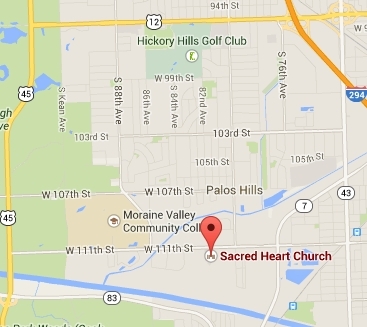 This is a place where you can receive sanctifying grace emanating from the Church through all Sacraments. The Sanctuary promotes evangelization and catechesis in the lives of the pilgrims, transforming them into true disciples, witnesses and missionaries. In June 1997, Monsignor Esteban Martínez, blessed the "Cerrito" and poured the earth brought from the Hill of Tepeyac in Mexico City, to build "New Cerrito" in Maryville Academy. Monsignor Martinez blessed and enthroned the replica of Our Lady of Guadalupe in New Hill, giving it the same powers as has the Basilica in Mexico City. ﻿COURAGE is a volunteer organization built on compassion and Christian values, advocating for pregnant young women and their families. Through education and counseling, Courage tries to help young women avoid unplanned pregnancies, but when necessary, offer them viable a﻿alternatives to abortion, including adoption and responsible parenting. By doing what family and friends used to do, Courage supports these young women with a variety of resources to help them make important life decisions on issues of sexuality, self esteem, parenting, personal growth, and maturity. Through the generosity of so many, Courage has been able to provide these services to help over 10,000 women and children. The Chicago Council has been assisting Cook County and Lake County families since 1857. SVdP provides a number of greatly needed services to needy families and individuals in our community, including the very basics for human dignity such as food, shelter, and clothing. Additional help with utility bills, rent, transportation, medical expenses, and even emotional and spiritual support transforms the lives of many. 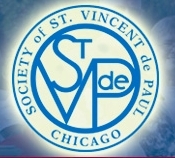 In 2013, SVdP assisted more than 782,000 community residents in Cook and Lake counties; people who wouldn't have had anywhere else to turn to for help without the Society of St. Vincent de Paul. Peg Boivin is a parishioner at St. Joseph in Homewood. She joined her husband as a deacon couple in the Diaconate Program. She is involved with the Adult Enrichment Program, Lay Ministry Program, Lector, and Eucharistic Minister. 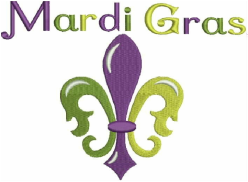 Nearly 250 people attended our 48th Annual Mardi Gras Ministry Awards at Sacred Heart Parish in Palos Hills. In his book, God in Action, Francis Cardinal George writes, "In every age and every place, the most important human activity is to watch for God's." The ACP gratefully acknowledges those whose ministry have manifested God's activity in the Archdiocese of Chicago. Among those attending, we welcomed for his first time, Archbishop Blase Cupich, who prayed the opening invocation, and Francis Cardinal George, who was honored with a special presentation by the ACP. Your support for the ACP is greatly appreciated. Please consider placing an Ad in our Program Book. Ad Deadline is February 2. Thank You. are presented to women who are pursing a degree in ministry. Mary Burke-Peterson: attends Loyola University. She is pursuing a MA at the Institute of Pastoral Studies. Mary is an active member of St. Nicholas Parish in Evanston, where she has worked to develop a greater sense of lay ministry among parishioners, served as a liturgical minster, and led the Art and Environment Team. Esther Stanborn MDiv: is the Director of Campus Ministry at Saint Xavier University in Chicago. She is a graduate of Canisius College of Buffalo, NY, and the University of Notre Dame, IN. She is a former member of the Jesuit Volunteer Corps. She is a student at Catholic Theological Union and is certified as a campus minster by the U. S. Conference of Catholic Bishops. Cindy Ulrich: is a parishioner at Sheil Catholic Center at Northwester University in Evanston, Illinois. Cindy works at he Sheil Center, and she is is currently training in the field of Spiritual Companioning. Cindy works with young adults, as they search for how God is present in their lives.